Although a bit on the pricey side, the Audix DP7 drum mics are absolutely amazing. When my church made the switch from electronic drums to the real deal, I decided to spend the extra cash for good drum mics. Let me tell you, I have not been disappointed! When it comes to sound equipment, you get what you pay for. 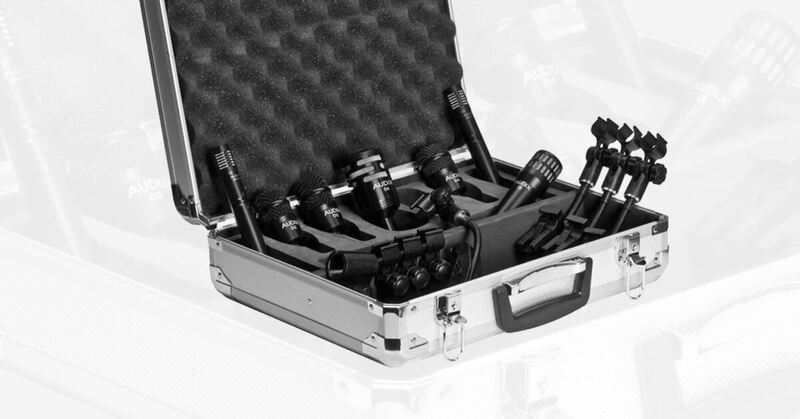 If you are looking to get the best sound possible out of your drums, spend the extra cash and get the Audix DP7 Drum Microphone Package! Amazing sound, durable, lightweight, great travel case, gooseneck clips get you up and running quickly. The gooseneck clips seem to wear out over time. They require frequent tightening to keep the mic from falling and vibrating. However, I can not think of one thing I do not like about the mics themselves.